Some common causes of blunt trauma to the eye are a sports injury, automobile accident, fight or job-related injury. The potential consequences of blunt trauma can be vision threatening. Therefore, any blunt trauma to the eye should be considered an ocular emergency. The most visible sign of a blunt trauma is ecchymosis, or bruising of the eyelids. However, the vision threatening consequences of trauma cannot be seen with the naked eye. These include angle recession, damage to the internal structures of the eye which can cause glaucoma, hyphema (bleeding within the eye), and retinal tears or detachments. In some cases, blunt trauma can also cause the orbital bones supporting the eye to fracture. 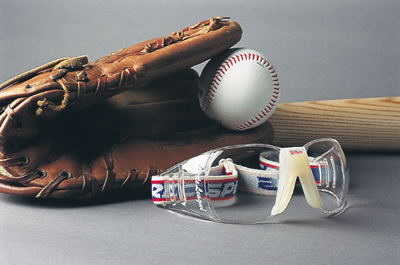 Sports related injuries from blunt trauma can be minimized by wearing protective eyewear. Therefore, if you or your children play sports, prevention is the best cure. What Should You Do in the Event of Blunt Trauma? Blunt trauma can happen to anyone. Therefore, you should develop an action plan before an emergency event occurs. Contact your ophthalmologist immediately. Patients with a blunt eye trauma should see their eye doctor the same day, as soon as possible. Until then, the patient should avoid touching or manipulating the eye. Call your eye doctor’s office. Explain that you have a blunt trauma injury. How Is Damage from Blunt Trauma Detected? How Is Blunt Trauma Treated? Treatment of the blunt trauma will depend entirely on the results of your examination. If a retinal tear or detachment is diagnosed, immediate laser or surgical treatment may be required to prevent permanent vision loss. In addition, some severe traumatic injuries can rupture the globe and require immediate surgical intervention. Because cataracts or glaucoma can form as a result of blunt trauma, other surgical or laser treatment may also be required at a later date. Blunt trauma can also cause hyphema, bleeding in the anterior chamber (the area between the iris and cornea) of your eye. This bleeding may be visible to the naked eye and may also obscure the view of your iris, the colored portion of your eye. The immediate objective is to stop the bleeding and to prevent re-bleed. You may be treated with steroid eyedrops to reduce inflammation. If your intraocular pressure is elevated, you may also be prescribed eyedrops to reduce your pressure. In addition, it may be necessary for you to reduce your physical activities and in some severe cases, bed rest may be necessary to reduce the risk of re-bleeding. During this period, you should also avoid taking aspirin and ibuprofen which can also increase the risk of re-bleeding. 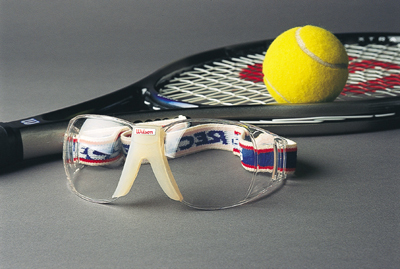 It is also important to protect your eye or eyes from further trauma while your eye is healing. CT scans or X-Rays may be needed to rule out an orbital bone fracture. Some cases of orbital fracture require surgery. Depending on the severity of the damage to your eye, further follow up examinations may be required to monitor how your eye is healing. While some blunt traumatic injuries can be prevented or minimized by wearing protective eyewear, not all injuries are preventable. Therefore, knowing the steps to take in the event of an accident is the key to preventing permanent vision loss in the event of a traumatic injury.